Italy became a real craze among the classes that could afford it. Many young people came to Italy to learn about art, culture and the testimonies of antiquity. The sightseeing tour of the historic cities of art offered opportunities for knowledge, study, purchases, even if there were difficulties, such as bad roads, and dangers, like brigandage. With intellectuals and wealthy bourgeois, many students came to Italy with the aim of learning ancient models. 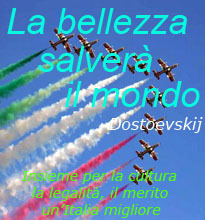 In the nineteenth century a trip to Italy became a fashion and a moment of training even for high-ranking young people. The ‘Grand Tour’ was much more than just a tourist trip: it was a period of extraordinary training in contact with an exceptional history and culture. Every man of European culture dreamed of making at least one trip to Italy, for the testimonies of the classical Greek and Roman past, for the splendid bucolic landscapes, for the many parties and countless musical and theatrical performances. Rome was the main destination, but also Naples, Florence, Venice, Turin, Milan and Sicily played a leading role. Many painters made portraits and views of Italy in Rome and in other cities of art. There were also foreign artists who also proposed themselves as guides for their compatriots, such as members of the French Academy. Writers, artists, politicians, wealthy bourgeoisie, art and culture enthusiasts undertook the ‘Grand Tour’ in Italy. 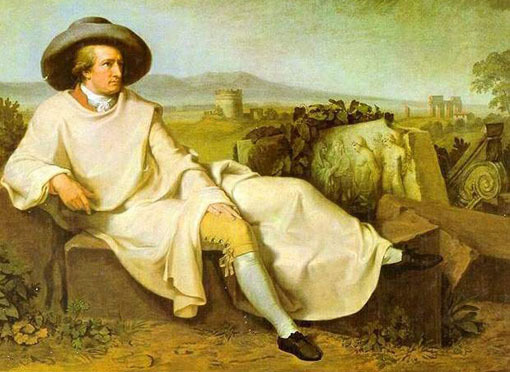 Goethe did it between 1776 and 1778, fleeing from Weimar in secret and under a false name, to enjoy Italy, the country of his desires and nostalgia, without having to give account to anyone. 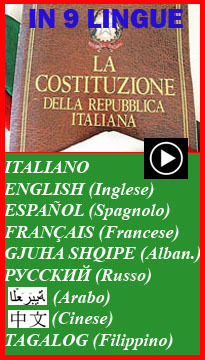 The list of foreign travellers in Italy is long, from Milton to Marvell, Harvey, Jean-Pierre Houel, Charles Didier, Thomas Gray, Chateaubriand, Thomas Hobbes, Madame de Stael, George Sand. Many have left engaging travel diaries, such as the aforementioned Richard Lassels, Philip Skippon, William Acton, John Evelyn, John Raymond. The emotional involvement and enthusiasm of travellers is expressed, among others, by the English writer Joseph Addison, who wrote in 1765: «There is certainly no other place in the world where a man can travel with greater pleasure and benefit than Italy. It is the great school of music and painting, and in it there are all the noblest works of sculpture and architecture, both ancient and modern».